Imagine the fun when you celebrate the birthday of a young actor, a celebrity chef and a comedian in one party. You'll get great entertainment, fun games and good food in one setting. That's exactly what happened when GMA 7 pulled a charity birthday event for Kevin Santos, Chef Boy Logro and Pekto at the Quezon City Sports Club early today. 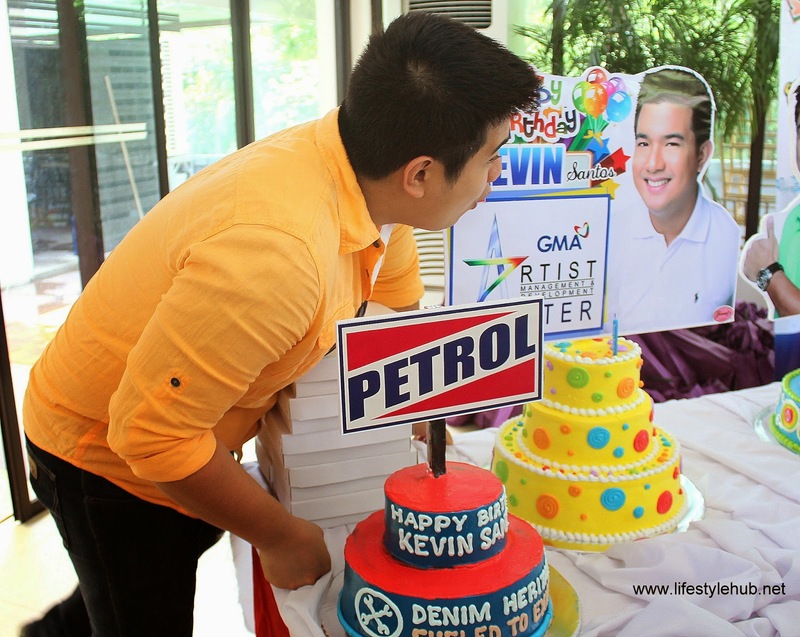 It was an belated birthday bash for Pekto and Kevin Santos whose birthdays fell on June 14 and 15, respectively. 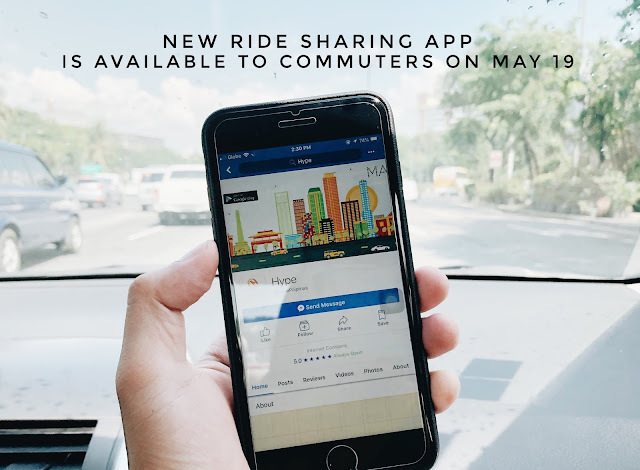 On the other hand, it's an advance celebration for Chef Boy Logro who will be spending his birthday in Davao on June 29. They may have different birth dates but the three Kapuso personalities agreed on one thing: a wish to spend their special day to those who needs help. GMA 7 granted the request of course and invited the kids of Onesimo Bulilit Foundation as their special guests. Being one of the male avengers of the second season of Starstruck, Kevin Santos had a great TV comeback when he portrayed the role of Danny in the hit gay-themed soap "My Husband's Lover." After being one of the supporting cast in the afternoon soap "My Borrowed Wife", Kevin will be part of the ensemble of GMA's newest Sunday comedy sitcom "Ismol Family" with Ryan Agoncillo and Carla Abellana. The show will premiere on June 22. Chef Boy Logro, meanwhile, rose to fame through his appearance in the daytime cooking show The Kusina Master. Since then, he appeared in numerous cooking shows including Idol sa Kusina on GMA News TV and Sarap Diva with Regine Velasquez on GMA. Chef Boy also tried comedy when he was part of the cast of Tweets for My Sweet. Presently, he is one of the hosts of the late morning variety talk show Basta Everyday Happy. 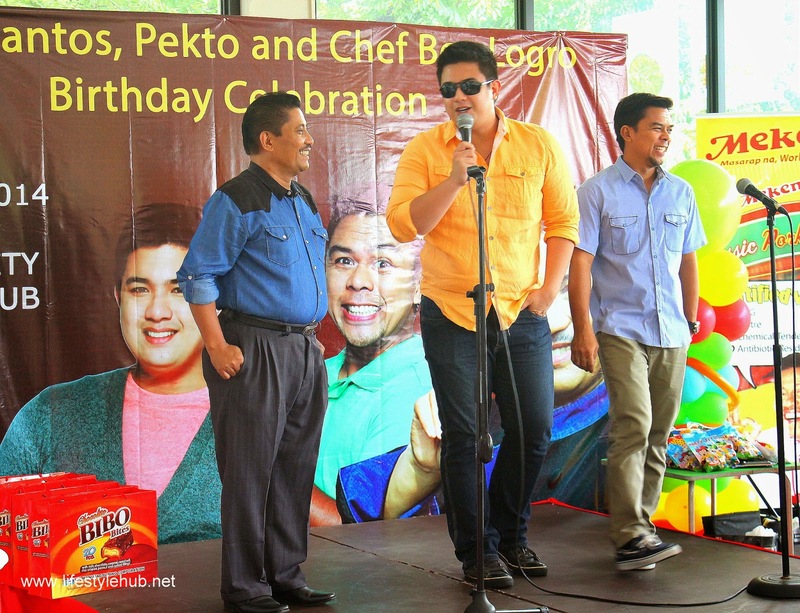 Pekto, on the other hand, has had a numerous TV exposure with a string of comedy shows and sitcoms. He was known for being Joey de Leon's right hand in the comedy shows Nuts Entertainment and Wow Manila. He is best remembered for being a host in GMA News TV's magazine show Day Off.